In sanitary piping systems, BPE fittings and 3A fittings are two very common types of fittings. However, it may be difficult for people unfamiliar with it to distinguish between conventional and 3A fittings as well as BPE fittings. This article will introduce the similarities and differences between the two fittings. First of all, what are the similarities between the two? Both BPE and 3A fittings are considered sanitary. Both measure the outer diameter of the tube in the same manner as the sanitary tube. This means you can solder two fitting types together. The size of the clamps is also the same. This is a similar place, and the rest of this article highlights some of the differences between the two. The root of 3A fittings lies in the dairy industry. They are marked with a 3A symbol to let customers know that these fittings are specifically designed for dairy applications. With the development of the industry, ASMEBPE has developed its own fittings standard. 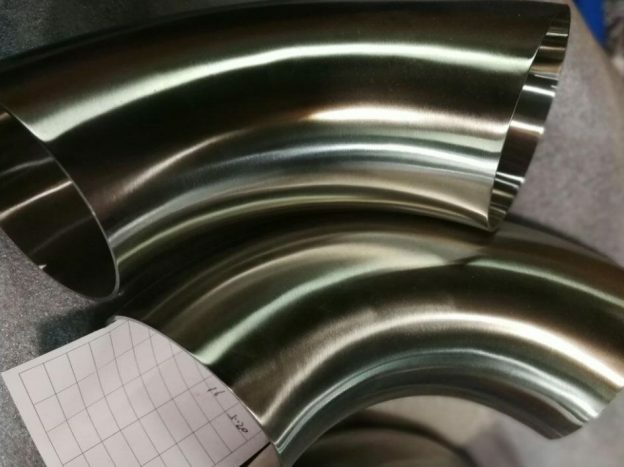 These fittings have an extended section to accommodate the extensive use of rail horns in welding procedures used in the connection of pharmaceutical fittings. BPE fittings dimensions are requirements outlined in the bioprocess equipment standard. The BPE fittings are specifically designed to be fully drained when properly installed. Another difference that should be emphasized is material availability. 3A fittings are usually available in 304 and 316 steel, and BPE fittings are available in 316L steel only. The I-LINE BPE fittings you have seen, the answer is definitely no, because BPE only has special welding and clamping ports. There are no other sanitary fitting styles such as I-LINE, John Perry or Q-LINE. Both 3A and BPE fittings have what we consider to be a surface finish. Hygienic surface treatment is generally considered to be any surface treatment of 32 Ra or better. 3A fittings meet this specification and often exceed it. However, there are several additional specifications for BPE fittings. This entry was posted on April 1, 2019 by hansen_admin. Why The Sanitary Diaphragm Valve Is The First Choice For The Biopharmaceutical Industry? Sanitary diaphragm valves are known as “clean valves.” They are the first choice in the biopharmaceutical industry because they are ideal for ultra-pure and sensitive media requiring unobstructed flow, throttling and positive shutdown. The sanitary diaphragm valve is the only truly clean straight-through valve in pharmaceutical applications. All other suitable valves are 90 degree valves. 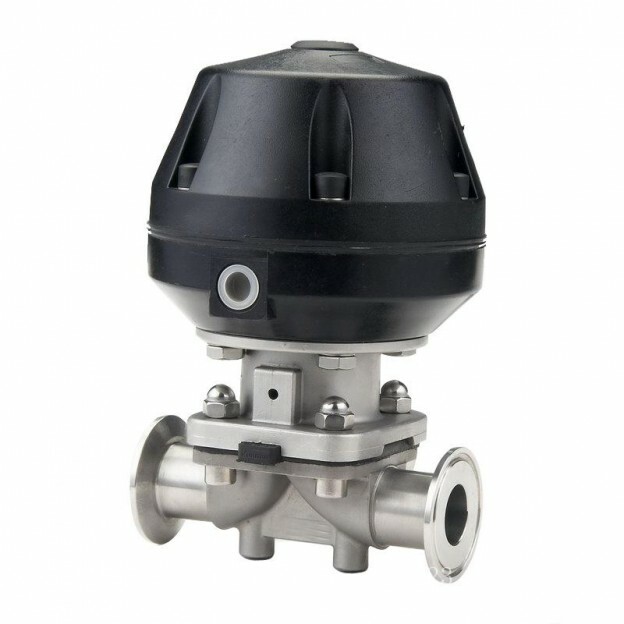 The hygienic diaphragm isolates the process medium from the environment and all moving parts of the valve, protecting the media from contamination while preventing it from interfering with valve operation. Premium diaphragms also offer excellent steam resistance and long-term durability. The valve body does not have any entrainment area and is also self-draining when installed in a line with 2 degrees of inclination. Most sanitary diaphragm valves bodies are made of forged 316L stainless steel. The porosity of the forgings is much lower than that of the castings. This will polish the valve to a surface finish as low as 10RA. They can also be electropolished for better surface finish. The simple design of the sanitary diaphragm body allows it to be configured with multiple valves in a single block tailored to the specific application. Sanitary diaphragm valves are “top inlet” valves. The bonnet and diaphragm can be repaired without removing the valve body from the production line. This allows the valve to be welded in place or clamped from the system. This entry was posted on March 1, 2019 by hansen_admin. 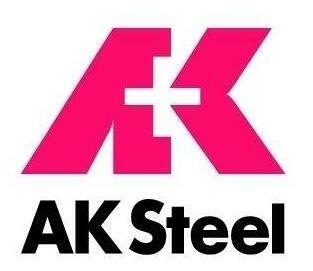 The performance report released by AK Steel of the United States shows that its performance in the third quarter of 2018 was the highest in the last 10 years, thanks to good market conditions and focus on value-added products. In the third quarter of 2018, shipments of flat rolled products increased from 1,366,600 tons in the same period of the previous year to 1,424,000 tons (including stainless steel/silicon steel shipments increased by approximately 4.8% to 206,600 tons), and the average selling price. From $1021.1/ton to $1,114/ton, net sales increased by about 16% year-on-year to $1,735.6 million. The quarter’s gross operating profit (EBITDA) was $182.3 million, a year-on-year increase of nearly 33.2%, adjusted to $160.8 million, the highest in the same period in 10 years since 2008; net profit was $67.2 million, significantly higher than the same period last year. $22.3 million. Liquidity at the end of the quarter was $953.5 million. In the first three quarters of 2018, shipments of flat rolled products increased from 4,529,100 tons in the same period last year to 4,294,700 tons (including stainless steel/silicon steel shipments increased by 1.8% year-on-year to 628,800 tons), and the average selling price was from From $1022/ton to $1,087/ton, net sales increased by approximately 12.1% year-on-year to $5,141.1 million. Earnings operating profit (EBITDA) for the first three quarters was $489 million, down about 6.3% year-on-year. After adjustment, it fell about 7.2% year-on-year to $427.9 million. Net profit was $152.5 million, down from $183.9 million in the same period last year. Choosing Wellgreen hygienic fittings is a wise choice. This entry was posted on January 28, 2019 by hansen_admin. It is reported that Guangqing(GQMT)’s 3 million tons 1780mm wide-width hot-rolling steel project has entered the final stage. It is expected that the trial production will be ushered in the fastest in January 2019. At that time, Guangqing will be able to directly produce 304 stainless steel black serious products. According to the official introduction, the Yangjiang Guangqing stainless steel hot rolling project has a total investment of about 2 billion. The hot rolling line is currently the world’s most advanced general-purpose 1780 hot rolling line. Its main features are large production scale and low energy consumption. The cost is low, the degree of mechanization and automation is high, and it can be produced in large quantities. The daily output can reach 10,000 tons, and the annual production capacity can reach 3 million tons. After Guangqing hot rolling is put into production, considering the current hot carbon market, the trend has already gone. At that time, it is very likely that the product structure will be adjusted, and some of its production of carbon steel products will be adjusted back to the production of stainless steel’s (Check wellgreen’s sanitary flanges ). In order to realize that its hot-rolled products can be directly marketed, it has already been equipped with a hot-rolled pickling stainless steel project. This entry was posted on December 28, 2018 by hansen_admin. A China’s e-commerce platform called “Pinduoduo” has been continually being spotted by a number of well-known foreign media. Media surveys such as the British “Daily Mail”, the Australian “The Diplomat”, the New Zealand “The Herald” (NZ Herald), and the US “Foreign Policy” found that “Pinduoduo”‘s Imported food is suspected of being sold for fake. The media survey on the “Pinduoduo” found that Penfords, the wine brand of Australia’s largest wine producer Treasury Wine Estates, has been sold by a number of merchants with a letter of “Benfords”. “This cheaper wine has the potential to challenge legitimate wines in the Chinese market and has already achieved high profits.” The Daily Mail found that on the “Pinduoduo”, only merchants sold more than 1,000 cases of six bottles of counterfeit. Penfolds “Benfords Hyland” wine, priced at $ 117 per case. In Australia, the retail price for a single box is $278. Hendrik Laubscher, the co-author of Forbes magazine, founder and CEO of South Africa’s digital retail research company Blue Cape Ventures, believes that the large number of counterfeit problems that exist in the fight for a regular brand will be A “nightmare” and believe that the “Pinduoduo” pattern is not sustainable. This entry was posted on November 19, 2018 by hansen_admin. What Is The Difference Between Sanitary Pipe Fittings And Stainless Steel Pipe Fittings? What is a sanitary fitting? Industrial pipe fittings are relatively well understood, but sanitary pipe fittings are not. The role of sanitary pipe fittings and materials are basically the same as those of industrial stainless steel pipe fittings. However, they are used in sanitary and food industries, and can be classified into welding, threaded and clamped types according to the connection method. 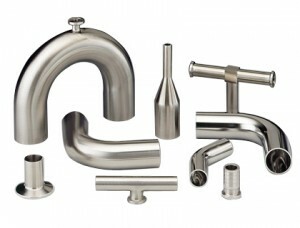 What is the difference between stainless steel sanitary fittings and ordinary stainless steel fittings? 4, quality and use: fast-installed joints inside and outside with high-grade polishing equipment to achieve surface precision requirements; suitable for dairy, food, beer, beverage, pharmaceutical, cosmetics and other industrial fields. This entry was posted on August 21, 2018 by hansen_admin. BHP Billiton CEO Andrew Mackenzie stated that he hopes to sell its Nick West nickel company in Australia as soon as possible. He also said that even if the current and future development prospects of the electric vehicle industry are huge, the demand for nickel will increase significantly, and the company will not be able to increase BHP Billiton’s overall profit. BHP Billiton said it will focus on developing other key commodities, including copper, iron ore, petroleum, and buyers seeking more battery-grade nickel assets that they are willing to purchase. BHP Billiton hopes to broaden its business in the battery industry by increasing its supply of cobalt.” Haegel said that BHP Billiton will begin production of nickel sulfate next year and plans to double its production, and will continue to establish a stable battery customer consumption chain. It is expected that by the end of 2019, BHP Billiton’s supply of nickel sulfate will reach 90%, two years ahead of schedule. Haegel also stated that according to 2017 data, BHP Billiton expects that approximately 65% to 70% of nickel production will be sold to the battery industry in 2018, approximately 45,000 to 50,000 tons of nickel ore. This entry was posted on June 22, 2018 by hansen_admin. From the evening of June 4 to the morning of the 5th, the Customs launched a centralized operation to crack down on smuggling of iron and steel scrap from export smuggling, arresting 245 criminal suspects and verifying that approximately 2.41 million tons of iron and steel scrap was involved in the case, with a case value of approximately 4.8 billion yuan. In daily supervision, the Customs discovered that the number of steel and scrap exports had increased sharply over a period of time, and there were significant suspects of understated price smuggling and export, involving multiple locations across the country. The Bureau of Customs of the General Administration of Customs carried out a centralized investigation to determine the criminal evidence of smuggling of iron and steel and scrap materials at a low reported price, and decided to launch a joint operation to crack down on the export of smuggled steel scrap and scrap. 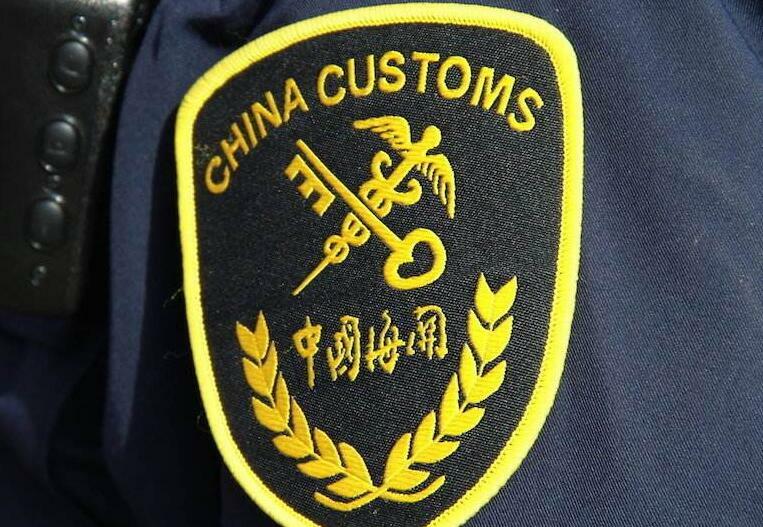 At 10 o’clock on the evening of June 4, the General Administration of Customs conducted a unified command, the Anti-Privacy Bureau of the Guangdong Branch and the 17 Customs Anti-smuggling Bureaus of Huangpu, Tianjin, Shijiazhuang, Shanghai, Nanjing, Hangzhou, etc., with the cooperation of local public security and marine police forces, launched a crackdown. Smuggling of iron and steel scraps for export and centralized network collection. By 9:00 a.m. on June 5th, 65 smuggled gangs of iron and steel scrap and 245 criminal suspects were captured. After preliminary investigation, these smuggling gangs purchased iron and steel scrap at home and smuggled and exported them to Southeast Asian countries such as Vietnam, Thailand, Singapore, Malaysia, and Indonesia by way of understated prices. At present, the case is under further investigation. This entry was posted on June 6, 2018 by hansen_admin. POSCO produced around 960,000 tons of stainless steel in the first quarter this year, up by 50.4% year on year. 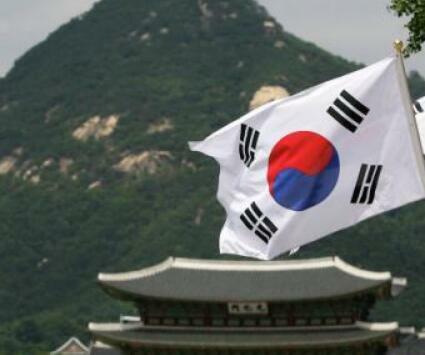 But the sales value of stainless steel production fell by 2.9% to around 2.5 trillion won over the same period a year ago. In 2017, POSCO’s performance in stainless steel increased significantly. 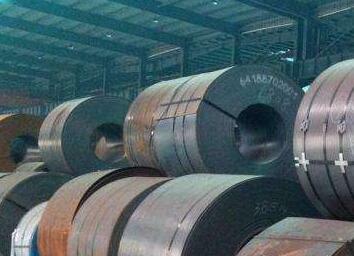 The production of stainless steel reaching around 2.7 million tons, up by 4.9% year on year. 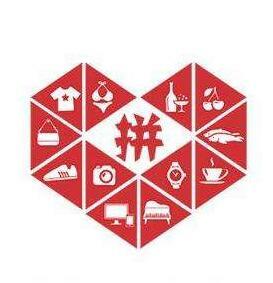 The sales value reached around 10 trillion won, up by 8.6% year on year. In 2017, POSCO’s domestic sales value of stainless steel was around 2.5 trillion won, an increase of 9.1% compared to 2016; the overseas sales value rose by 7.7% year on year to around 7.5 trillion won. This entry was posted on May 31, 2018 by hansen_admin. Emirates Global Aluminium, the largest industrial company in the United Arab Emirates outside oil and gas, announced that has surpassed the 30 million tonnes mark in cast metal produced. 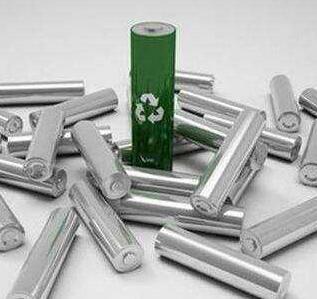 The aluminium EGA is producing is a key component in helping to make modern life possible through its use in construction, the automotive industry, electronics and other vital everyday essentials. In 2017 EGA experienced a record production of 2.6 million tonnes of cast metal, exceeding 2016’s 2.5 million tonnes and made EGA the third largest producer of primary aluminium outside China. This has been a sustained increase which started at 135,000 tonnes per year when production began. EGA has focused on innovation for over 25 years. EGA’s research and technology development focuses on continual improvements in aluminium production processes and EGA has used its own technology for core processes for every expansion since the 1990s. On average, EGA spends USD 9.5 million on R&D each year and smelting innovations have enabled EGA to reach the top global quartile performance in cost, efficiency and environmental responsibility according to independent industry benchmarks. Achieving this landmark figure in 2018 highlights the benefit of EGA completing a major retrofit of all older production lines with EGA-developed technology in 2017, helping to boost production capacity while also reducing unit costs. Mr Abdulla Kalban, Managing Director and Chief Executive Officer at EGA that “EGA is one of the UAE’s most important industrial giants, and a world leader in the global aluminium sector. Reaching this figure confirms that fact and validates our commitment to innovation that has led to a sustained increase in cast metal production. This entry was posted on May 23, 2018 by hansen_admin.